The members of Preston and District MG Enthusiasts Club reside in the North West of England, in Lancashire. We offer a warm welcome to you here at our web site.We hope you enjoy your visit and get an idea of who we are. The members are a mixed bunch representing all tastes. 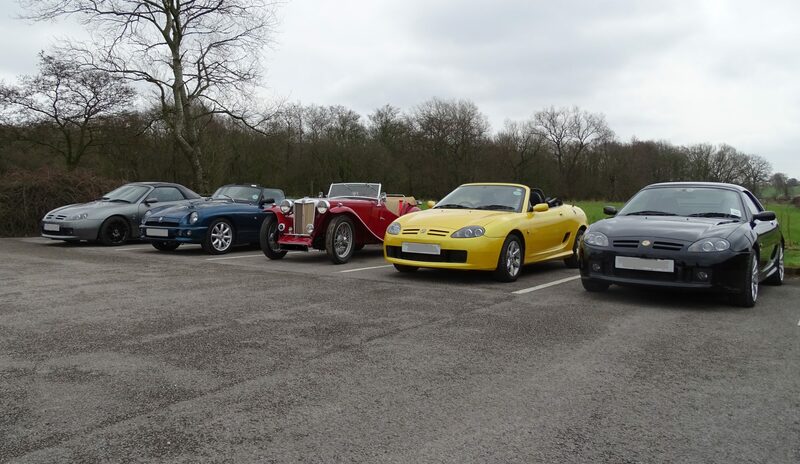 If you own an MG (old or new) or are thinking of buying one, then come along to one of our meetings. We always welcome newcomers when joining or just visiting. Meetings are held on the last Tuesday of each month, except December when we have a Christmas Dinner earlier in the month, where all members and often guests are welcome. We enjoy a varied list of activities including bowling, auto tests, weekend and midweek runs, visits to shows, and of course our own Lancashire Lanes Run, held in June. Once a year we hold a car show, and normally have a long weekend away, where driving and socialising is the order of the day. Are you a new member? Or do you have a new car? Then send in a photo of your car to the webmaster, for the front photo sequence.